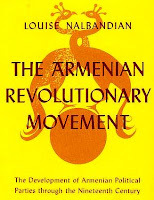 Armenian Historian LOUISE NALBANDIAN published her analysis of the Armenian Revolutionary Movement in 1963, several years before the Armenian lobbies began to spread their one-sided propaganda all over the world. The correlation between her matter-of-fact narration and the timing thereof should be considered in no way coincidental. The Development of Armenian Political Parties Through the Nineteenth Century. Nalbandian talks about the founding of the Hunchakian Revolutionary Party and its adopted methods. "The Hunchakian Revolutionary Party was . . . the first socialist party in Turkey and Persia. All its founders and theorists were Marxists. It was formed by seven Russian Armenian students who had left Russia to continue their higher education in universities in Western Europe. They were young persons, in their twenties, and were from well-to-do bourgeois families who were financially supporting them. In the course of this chapter these individuals, where necessary, will be more fully identified. None of them ever lived under the Turkish flag, yet they were personally concerned with the living conditions of their ethnic brothers in Turkish Armenia. For the purpose of furthering revolutionary activity in Turkish Armenia, the seven young Armenians formed what was later to be called the Hunchakian Revolutionary Party in Geneva, Switzerland, in August, 1887." PROPAGANDA, AGITATION, TERROR, ORGANISATION, AND PEASANT AND WORKERS ACTIVITIES. Propaganda was to be directed to the people to educate them toward two goals. . . The party was to explain to them the basic reasons and proper time for revolution against the government, thereby indoctrinating them with the basic idea of revolution. This goal, however, was not sufficient in itself. The people had to have a knowledge of the social order that was to be established after the successful revolution. Agitation and Terror were needed to "elevate the spirit of the people." Demonstrations against the government, refusal to pay taxes, demands for reforms, and hatred of the aristocracy were part of the party's agitation campaign. The people were also to be incited against their enemies and were to "profit" from the retaliatory actions of these same enemies. Terror was to be used as a method of protecting the people and winning their confidence in the Hunchak program. The party aimed at terrorising The Ottoman government, thus contributing toward its complete disintegration. The government itself was not to be the only focus of terroristic tactics. The Hunchaks wanted to annihilate the most dangerous of the Armenian and Turkish individuals who were then working for the government, as well as to destroy all spies and informers. To assist them in carrying out all of these terroristic acts, the party was to organise an exclusive branch, specifically devoted to performing acts of terrorism. The Organisation of the party was to be a centralised system directed by a central executive committee. The Hunchaks believed that the revolution could not be won by the participation of the party organisation alone. They considered it absolutely essential to win the active support of the peasants and workers. There were to be two large revolutionary groups, one of peasants and the other of workers. Besides these separate groups, there would be guerrilla bands, composed of both peasants and workers, who would become fighting units during the anticipated revolution. The role of the peasants and workers was not to end after the victory, for the Hunchaks saw in these two groups the very basis of the society that was to be thereafter established. The peasants and workers were to protect the gains and interests of the people, and were to take the reins of government and rule according to democratic principles. The plan giving the details of these governing principles was to be published at a later date." "The most opportune time to institute the general rebellion for carrying out the immediate objective was when Turkey was engaged in a war. The Hunchaks were ready to fight not only the Ottoman regime, but any other power that wished to dominate Turkish Armenia. The non-Armenians of Turkish Armenia were not overlooked. The party declared that in order to better the condition of the non-Armenians, it was necessary to get the sympathy of other minorities, such as the Assyrians and Kurds, for the revolutionary cause. These groups were to help bring about a revolution against the Turkish government when circumstances should be favourable." 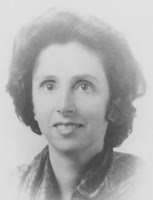 A quarter of century has passed since the tragic death of Dr. Louise Nalbandian, Professor in the History Department of CSU Fresno from 1964 to 1974. She was the first to teach an Armenian course starting in the spring semester 1967 with a new class History 133, "Armenian History." She offered the course every semester she was on campus. In the fall of 1969 Louise Nalbandian instituted another course of interest to Armenia and Middle East entitled the "Ancient Fertile Crescent." Later in the spring of 1972 and again in 1974 she twice taught "Soviet Armenia" in the History Department. Dr. Nalbandian was from San Francisco, where she grew up with her brothers Al and Harvey. She completed her doctorate at Stanford University and wrote her thesis on Armenian political parties. 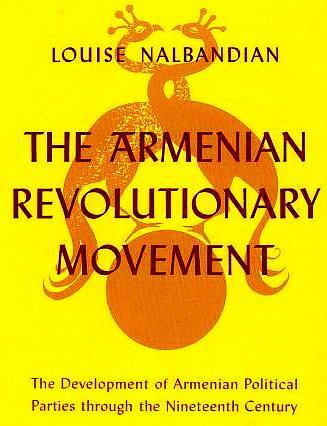 This was later published by the University of California Press under the title the Armenian Revolutionary Movement: The Development of Armenian Political Parties through the Nineteenth Century (1963); it was must reading for anyone interested in 19th and early 20th century Armenian political history. The first woman hired in the male bastion of history at Fresno State, she gradually developed offerings in her main field of interest. Due to the surge in interest in ethnic studies, and perhaps in part to the university’s accepting to offer an Ethnic Studies Program after wide spread unrest on campus, including the bombing of the computer center, Louise Nalbandian was able to push for more Armenian content courses. By 1970 she had managed to recruit two new teachers, Serpouhie Messerlian, as Assistant Professor of Foreign Languages to teach Armenian, and Dr. Arra Avakian, Professor of Ethnic Studies to teach Armenian culture. By 1972 a minor in Armenian Language was offered through the Department of Foreign Languages and a number of courses were included in the General Education Program. The 1973-4 and the 1974-5 university catalogues list her as Coordinator of Armenian Studies. The continued growth of the Program was dramatically halted by Dr. Nalbandian’s death in a highway accident. In the spring of 1975 her previously scheduled courses were cancelled. Dr. Avakian had already left the university, but Ms. Messerlian continued to teach Armenian 1A until the University hired me in the 1977 after a two year search. When I arrived to reestablish an Armenian Studies Program, no courses except elementary Armenian had been taught for more than two academic years. Though there was technically a minor in Armenian language, neither Armenian 2A nor Armenian 2B, both requirements for the minor, had ever been listed as offerings in the schedule of courses. I am not sure if anyone actually earned a minor in those years. Unfortunately, those courses which had been previously listed under General Education were dropped after Dr. Nalbandian’s death, and even the many Armenian courses in Ethnic Studies disappeared after Arra Avakian left in 1974. My charge was to establish a new Armenian Studies Program. In the first years I taught Armenian language, history, and art and architecture. As an historian my interests and publications were in medieval and ancient Armenian Studies, rather than the modern period. One of the first steps I took to revive the program was to expand history into a two semester course (I wanted four semesters, but there were limits), the first covering ancient and medieval period and the second the history of Armenian from the Cilician kingdom to the Genocide of 1915. I also immediately developed a new course, AS 10, Introduction to Armenian Studies, which covered language and linguistics, history, genocide studies, Armenians in America, literature, art, and architecture. It was the first Armenian Studies course to get into the newly revised General Education program and remains the fundamental initiation to Armenian Studies for our students. The subsequent history of Fresno’s Armenian Studies Program is much clearer and after 1979 available for anyone to study through the pages of 21 years of Hye Sharzhoom. What has changed during the past two decades is the consistent number of students completing minors in Armenian Studies, the vast outreach program of public lectures and conferences, the increase in overall enrollment, the availability of large numbers of scholarships and grants for student enrolled in Armenian Studies, and, perhaps most important, the establishment of several major endowments. Because of these endowments — the Haig & Isabel Berberian Endowed Chair of Armenian Studies, which I currently hold, the Henry S. Khanzadian Kazan Endowed Visiting Professor of Armenian Studies, the Victoria Kazan General Endowment for Armenian Studies, and the Pete Peters scholarship and program endowment –- the Program is stabilized and will continue automatically when I retire. After Louise Nalbandian passed away, a spontaneous movement was engaged to create a lasting memorial in her name. Spearheaded by Dr. Joseph Satin, then Dean of Arts and Humanities, and loyal friends of Dr. Nalbandian like the late Professor Ara Dolarian and his wife Rose, a project to erect a Louise Nalbandian Memorial Museum was undertaken. Her brother Al Nalbandian offered to give his multimillion-dollar collection of art to the University if such a facility was built on the CSUF campus in his sister’s memory. A site was chosen at Maple and Shaw just a bit southwest from where the new Smittcamp Alumni Building has been built. The Nalbandian Museum was to be part of an "Heritage Park," which would accommodate museums and other facilities representing Fresno’s major minority populations. Drawings and renderings were completed by a San Francisco architect and the project was approved by the Board of Trustee and placed on the University’s masterplan. When I was recruited from Paris in 1976, I was given copies of the plans of the impressive building and told that if I accepted to come to Fresno State, I would have as one of my duties the directorship of the museum. I was also assured that groundbreaking would take place in the summer of 1977. Unfortunately, the project never materialized. Though I headed a support committee to raise funds for more than five years, the idea was much ahead of its time and represented a fund drive of several million dollars. A form of the project was revived twice. Dean Satin, a couple of years before his retirement in the 1980s, acquired the rights to an Arts and Humanities complex designed by the famous American architect Frank Lloyd Wright, but never executed. It was to include an Armenian museum, but again the multimillion-dollar project was never realized. Most recently proposals have been made for a Center for Armenian Studies and Museum in the new Save Mart Event Center and a major out of state Armenian donor had offered to making a gift of $400,000 for such a facility, if it were matched by the local community. However, that too fell by the wayside because of a serious misunderstanding. Thirty-three years have passed since Prof. Nalbandian taught the first Armenian history course on campus. Even I have been ignorant of some of the facts presented above and from time to time have forgotten her vital role. My wife and I last met Louise Nalbandian in Beirut in 1972. She was on a sabbatical leave collecting material for a forthcoming book on Maro (Mariam Vardanian), the famous Hunchak revolutionary leader. Over dinner at our house, she explained many of the trials and tribulations she was suffering with Armenian Studies at Fresno State. Our only connection with Fresno was the writings of William Saroyan and as we accompanied her back to her hotel in the early morning, we could not have imagined for a moment that we too one day would be involved in Armenian Studies in California. Avetis NazarbekianIn the summer of 1886 Avetis Nazarbekian (known also as Avetis Nazarbek and sometimes called Lerents), who had written some of the strongest revolutionary articles in the journal Armenia, traveled from Paris to Geneva. With him was his fiancée, Mariam Vardanian (Maro). Both Avetis and Maro were dynamic personalities in their twenties. Avetis, a strikingly handsome young man with the look of a poet, was a master of dialectics. His uncle, Melikazarian, one of the wealthiest Armenian capitalists of Tiflis (in Russian Transcaucasia), was financing his education.4 Maro was a vivacious and intelligent woman with a fiery disposition. After her graduation from the Tiflis Gymnasium she had gone to study in St. Petersburg, where she had become a member of a secret Russian revolutionary band. Because of political difficulties Maro had fled to Paris, where she had met Nazarbekian.5 Both were concentrating on the social sciences, from which they gained broader knowledge of the economic and political theories of the day. They were both very much in favor of the proposed convention for the formation of an Armenian revolutionary organization, and their enthusiasm made an indelible impression on four Russian Armenian students, Gabriel Kafian (Shemavon) and Ruben Khan‑Azat, both specializing in agriculture; Nicoli Matinian,6 and Mekertitch Manutcharian, all of whom were then in Geneva.